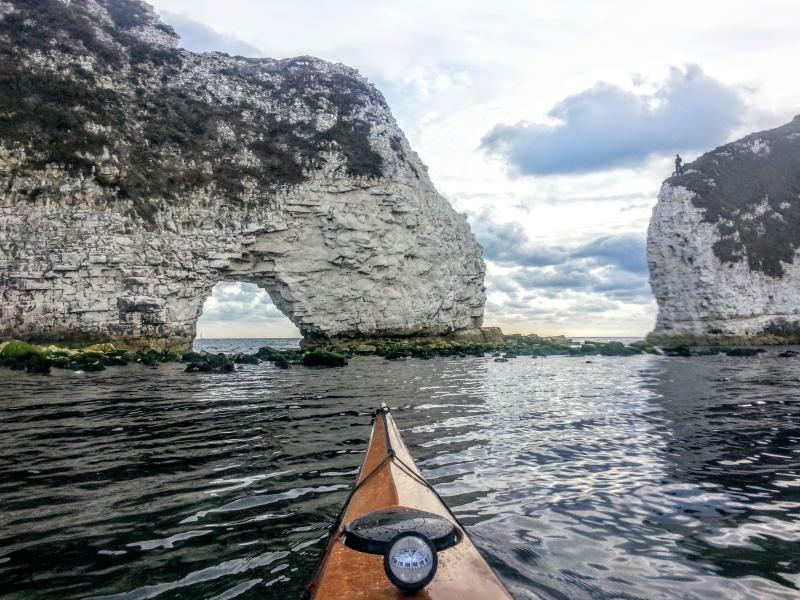 A family half term holiday to Swanage gave the opportunity to explore some of the stunning Jurassic coast. 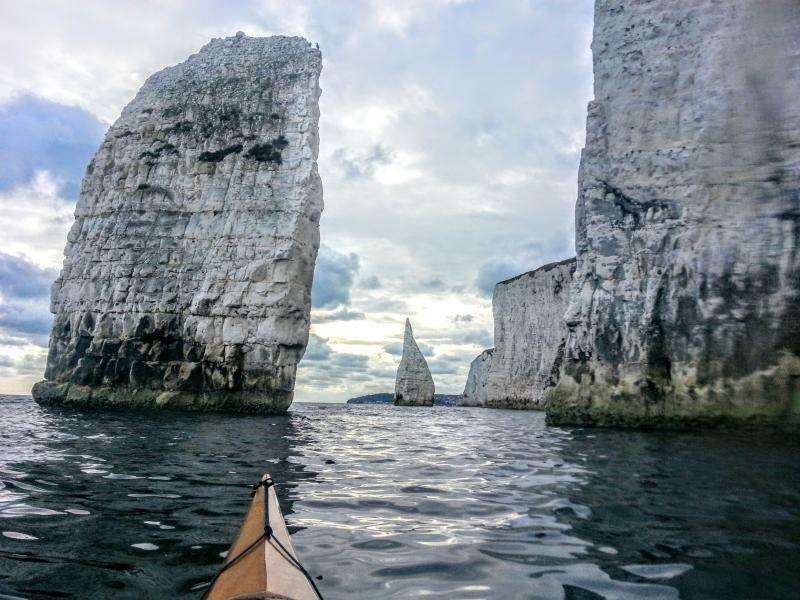 Old Harry rocks can most easily be explored from the National Trust car park at Knoll Beach, Studland. 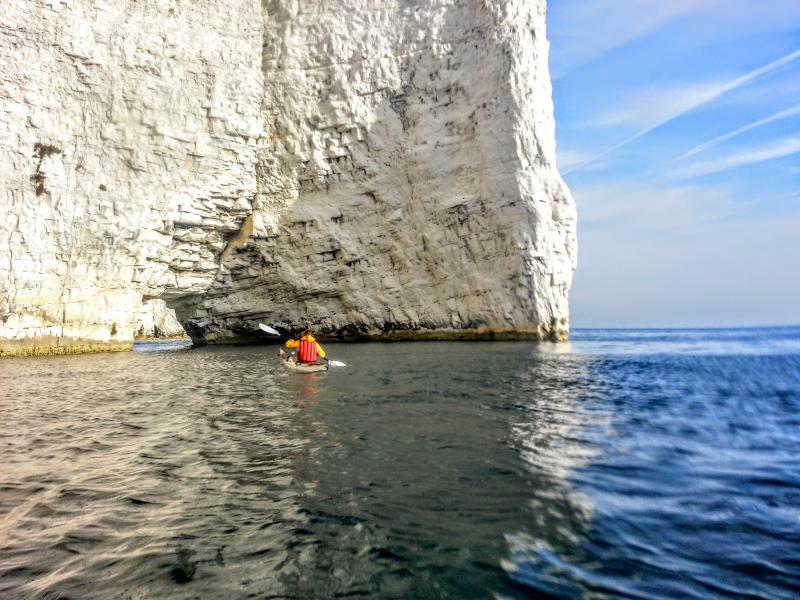 A 50m carry gives access to the sea and the 3km paddle to the impressive headland. A healthy tide race forms off the rocks, but by sneaking through on the landward side of the stacks you can keep to calmer waters. Tunnels offer short cuts through some of the headlands (My wife enjoying her first proper trip out in my Petrel). Stunning cliff and stack scenery abounds. 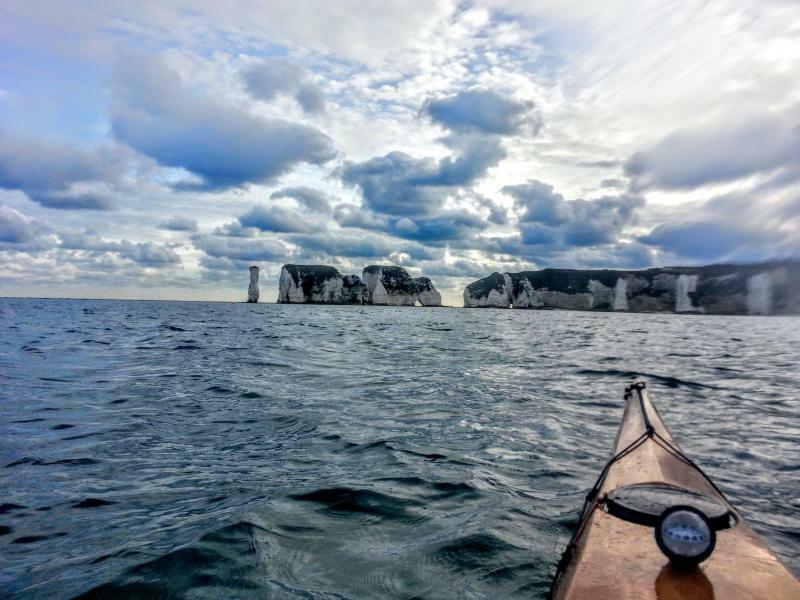 On our first trip to the rocks I wibbled and wobbled about in an old boat while my wife enjoyed paddling my Petrel. Missing the stability that comes with a well fitting boat, I struggled to take any photos at all. On a later trip I was back in my boat and much, much happier.